Planning an upcoming trip to the United Kingdom? Driving is a great way to experience the country, from the cities to the countryside. 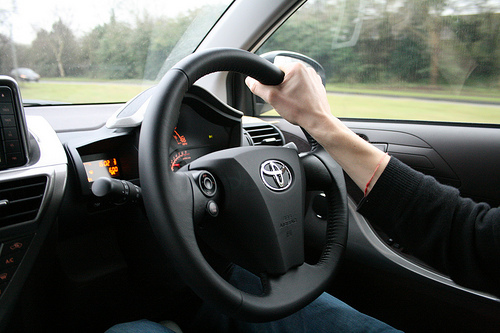 While you may already know that driving there is done on the left-hand side of the road, there are several other things to keep in mind when planning to drive in the UK. Here are some things to keep in mind. While in the U.S. is is perfectly legal to turn right on red, in the UK this is not the case. There is no left on red equivalent of this rule. When at a stop light, you need to wait for a green light or arrow regardless of which way your are turning or the flow of traffic. The UK is known for having tons of roundabouts, or “turning circles” as they are referred to there. They use them in place of traffic lights and four-way stops. Remember to turn to the left when entering and try to get into the correct lane as soon as possible so that you don’t miss your exit. Because you will be driving on the left-hand side of the road, yu will also exit from the outer left lane. Don’t forget to signal to the left as well! Some larger roundabouts also have traffic lights embedded within them, so be sure to look out for these and obey the lights accordingly. The UK takes speeding seriously and to enforce this, they have installed speed cameras on almost all major roads and on many smaller ones as well. The cameras will get a photo of your vehicle license plate number and send a ticket to the car owner. If you have rented a car, the rental agency will bill you for this and may add extra fees on top of the fine. Beware! Parking can be very difficult in UK cities. There are a number of complicated street markings to indicate where and when street parking is available. And while some shops and restaurants have parking lots, these are limited and tend to fill up quickly. Your best bet when venturing into the city is to find a privately operated parking area, which offers a park and ride facility. These are commonly used, safe, ad efficient. There are a number of companies that operate private parking lots with park and go services, with UK Parking Control being one of the major ones. Do take care to follow the rules laid out here as well, though, or you could end up with a parking ticket just like you would when you don’t follow street parking rules.